Provide a guide for getting visitors from point A to point B on your website. Let people know right away what your site has to offer. Communicate to the search engines what type of content and information can be found on your website. 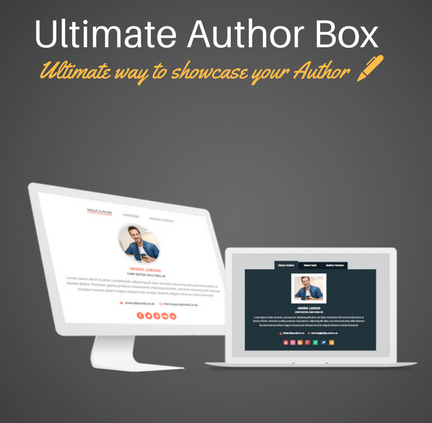 Feature the pages that are the most important to your business right up top, right away. Keep your site’s design simplified by taking page links out of the sidebar, footer, and anywhere else you might think to store them. Answer 1: Roughly 50% turn to the navigation to figure out where they are and where else they can go on the website. Answer 2: 37% said that a poorly designed website and navigation is enough to cause them to ditch a website completely. Question 3: Which website element would annoy or cause you to leave a website in terms of “Waste of My Time” and “Reduces Credibility”? Answer 3: 50% responded that a poor design and navigation would be enough for them to lose faith in the credibility of a brand. It makes sense when you think about it. The easier it is for visitors to move around a site, the greater likelihood there is that they’ll read more pages, peruse more products, and want to keep moving forward because the experience has been as seamless as possible. Any disruption to that experience, however, is apparently enough for many of those visitors to give up and move on to another website—and that’s the last thing that you want. So, let’s talk about the tools you can use to create a beautiful, responsive, and well-thought-out navigation for your website. While WordPress does offer a simple solution for building your site’s menu, sometimes the basic navigational structure just isn’t enough for what you want to accomplish. That’s why WordPress plugins are so great. Whether you want to add a simple animation to your menu, create a new menu for mobile users, or want to expand your menu to megalithic proportions, there is a free plugin to help you do that. 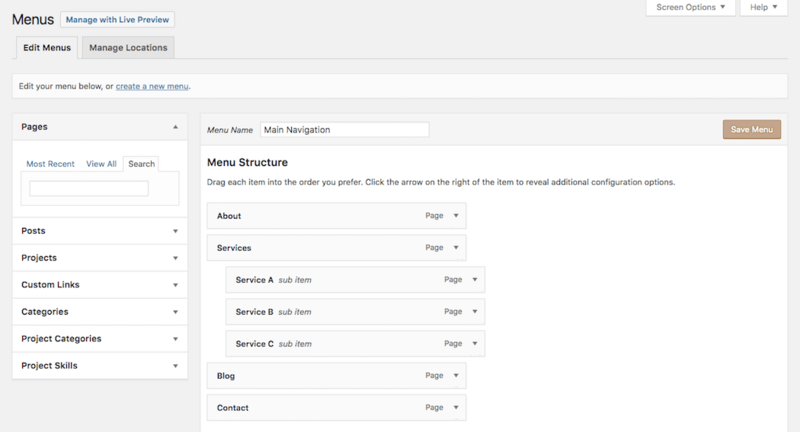 Last, but not least, we come to the WP Floating Menu plugin. This one is a cool option since it takes your menu off of the top of your site and makes it “sticky”. What does this mean exactly? Well, say your visitors are scrolling down one of your web pages. Rather than have to scroll up to find the navigation bar again, the menu will always be there on the side of the screen, following them along as they read and enjoy the rest of your site. And because this plugin is mobile-friendly and comes chock-full of customization options, it’s just as flexible as the other more “standard” designed menu plugins mentioned above. For websites with a lot of content—we’re talking like over 20 to 30 pages—you’d probably do well to use a mega menu for your site’s navigation. That way you don’t have to compromise on which pages you’re able to include in the menu nor do you have to overstuff the singular navigation bar. This way, if your visitors want to go back a level (in this case, to the category) and not have to navigate to the blog from the Menu, they can use the breadcrumbs instead. It keeps your readers right where you want them. 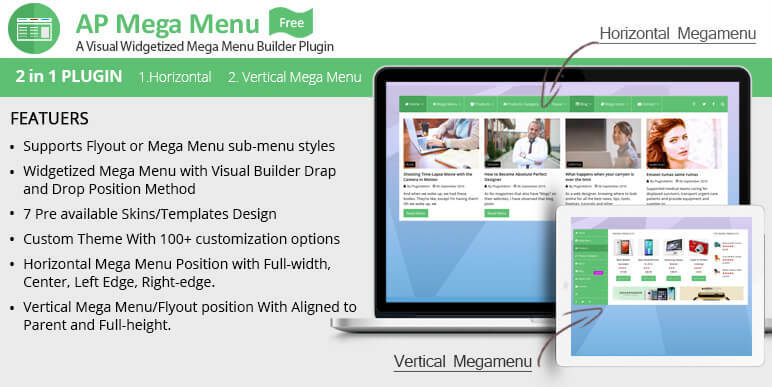 If your site is about to scale and you believe that a mega menu would be beneficial for your site’s growing size, then this is a good plugin to look into. 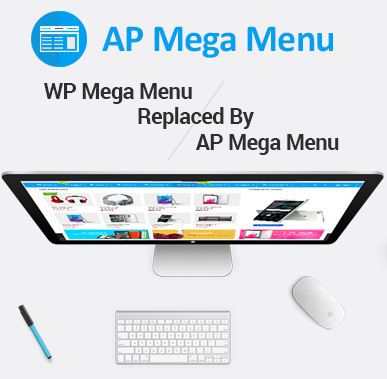 What it does is take your current menu setup and converts it into a mega menu. It comes with a variety of customization options too, like animation, desktop-only menu items, menu styling, and more. This next plugin isn’t going to be for everyone. In fact, I’d recommend that you use this one sparingly. If you happen to have a very simple and small navigation for your website, and if you’re already using strong iconography in your site’s design, this would be a great plugin for you to use. Basically, it opens up the ability to add images to your navigation (functionality you won’t otherwise find in WordPress). In minimalist design, the goal is to create as much open space as possible within a website. This, in turn, helps put the focus on the what matters most: the content. If your site falls in line with minimalist principles, then you could definitely benefit from an accordion menu design. Thanks to WordPress plugins and web developers who have been kind enough to code the functionality into these tools, you no longer need to know how to code in order to create a mobile-friendly—or responsive—web design. But responsive design doesn’t just end at the content on the page, it also pertains to the menu. This plugin will automatically equip your site with a self-adjusting menu design so that it’ll look great regardless of which device visitors view it from. It also comes full of personalization settings for color, font, animation, images, menu triggers, hamburger button placement, and more. As you can see, there are plenty of free WordPress plugins available that will improve your site’s navigation while still giving it enough pop to wow your visitors. Just remember that the goal of the navigation is to keep visitors moving, so don’t create so much of a “wow” factor that they forget about checking out the rest of your site. As a goal, focus on creating a navigational structure that is responsive, intuitive, and easy for you to control. Also, stick to WordPress plugins are well-made. It doesn’t matter if it creates the slickest effect, if it slows down your site or creates friction in your visitors’ experience, they’re not going to be happy. So, keep the focus on how to keep people fluidly moving around the site. Author Bio: Nathan Oulman loves to contribute to the web, He says it makes him feel good about himself. When he is not busy he writes on sandpoint idaho real estate on his site. Hey Buddy!, I found this information for you: "Top 7 WordPress Plugins for Building Beautiful and Intuitive Menus". Here is the website link: https://access-keys.com/blog/wordpress-plugins-building-beautiful-intuitive-menus/. Thank you.